I know it is July and I should be talking about A Tour of France but honestly I have yet to watch a stage. Not hating just busy with a lot of “stuff”. Anyway yes it is July and likely hot as balls where you are but that does not mean it is too early to think about cyclocross! I have once again partnered with Castelli to bring back the classic Big Ring jersey. No just the jersey though and entire kit of Italian bad assery! If you want to take you ‘cross to the next level you have to check out the Castelli Speedsuit. It is the best purpose built piece of cycling clothing I own. So. Freaking. PRO. 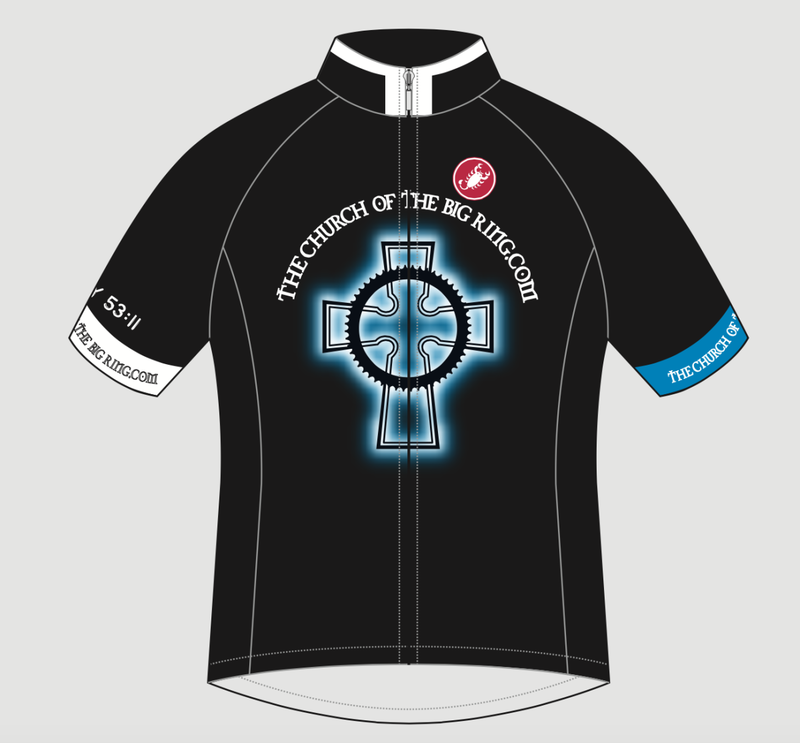 The skinsuit, jersey, vest, jacket and long sleeve jersey all feature the Big Ring Clergy Collar. You wont be able to perform weddings but you will might get free beer when you wear it. The lead times are pretty big as this is a custom order. 6-8 weeks delivery after we stop taking orders on July 27 so order now for cyclocross season. There may be another order in the spring depending on how well received this one is. To order go the the Shop and read the instructions before you order. Castelli has set up a custom order page for us that honestly is kind of clunky. (their clothing however is not) The best pictures are on the Big Ring shopping page.